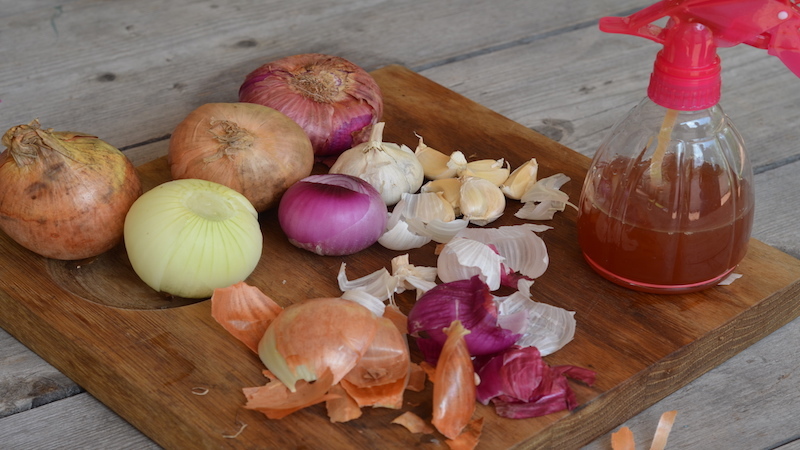 Please note; Only use the skins of Organic Onions and Garlic or wash skins thoroughly with mixture of bicarbonate of soda, vinegar and lemon juice, otherwise you will be taking in the pesticides that were used whilst growing them. You can infuse onion skins to make tea with the skins by steeping them in hot water for 10 minutes. Soar throat: Gargle with onion leaf brew several times a day. Healing Onion skins are a good source of antioxidants, the onion skins have more antioxidants than the onion itself. Healing Onion skins are rich in fiber. Diets high in fiber help to reduce heart disease, digestive problems, some types of cancer and type 2 diabetes. Healing Onion Peel is a Natural Ingredient for Hair Growth and reduces dandruff. As a rinse it will soften the hair. Healing Onion Skin has anti fungal properties. Healing onion skins help with leg cramps. Boil skins for 10-20 minutes, making an infusion. Drain the skins from the water and drink it as tea before bed. It might take a week or so to take effect. Can be used as a hair dye. Steep healing onion peel in hot water for 10 minutes and drink the water for hypertension. Do this every day to lower your blood pressure. Garlic skins contain six separate antioxidant compounds according to research from Japan. Peeling garlic removes the phenylpropanoid antioxidants, which help fight the aging process and protect the heart, explains Dr Glenville (Daily Mail.co.uk). Like the garlic cloves, the skin is also great for boosting immunity and lowering cholesterol. Soak your feet in garlic water to stop athletes foot. I have seen great patterns of behavioural change when I applied one simple, yet highly effective morning routine. This routine has help me to reset my day from being average to great. But only when its applied. So consistency is key to this. These are just a few helpful tips to feel energized and ready for a positive day. For more tips check out my ULTIMATE Guided Detox program for a deeper dive into this powerful subject. *Fill a glass or cup with peaces of outer onion skin and top up with hot water. Let it steep for 10 minutes and drink. 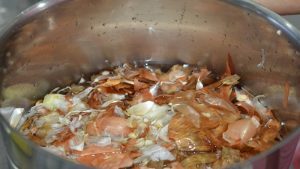 If you have put some outer leave skins aside from onions or garlic, put them in a cooking pot and cover with water, bring to the boil and let simmer for 15 minutes. Cool the mixture and put through colander and use this water as you need it. You can also use it as a dye for Easter Eggs or wool. Color will depend on red or white skins. Put a whole onion in your soup or stew and get all the benefits. You can also put onion skins in when you cook rice to let them steep as you cook the rice and take them out after cooking. Put skins in separate gauze bag if preferred and remove from stew or soup once cooked. If you liked this post please share and if you want more tips from Tania sign up to her Detox Daily for super inspiration. For a total detox check out my ULTIMATE Guided Detox program. If you want to know more message me [email protected] and I will motivate you to make the change. 15 minutes to enhance your day is all it takes to feel more productive, in control and good about yourself.